Call for a no-obligation estimate. AccuShred will outline a secure, cost-effective program for your data security needs. While cyber security continues to receive considerable attention, it’s necessary to keep in mind the negative impact of a physical document, containing sensitive information falling into the wrong hands. Nowadays, companies are spending millions of dollars to improve their network and data security, but not every company is paying attention to physical document disposal protocol. Quite frankly, this can cause the death of a company contingent of the information contained in the document(s) and who’s hands it falls into. This is where the problem begins. Let’s imagine a highly confidential report is leaked to a major competitor by a disgruntled employee, or a manager’s salary is passed among employees, causing resentment in the office. How would that impact your business? How would you deal with one of these situations after-the-fact? So, how can your company improve the security of printing and managing sensitive information? 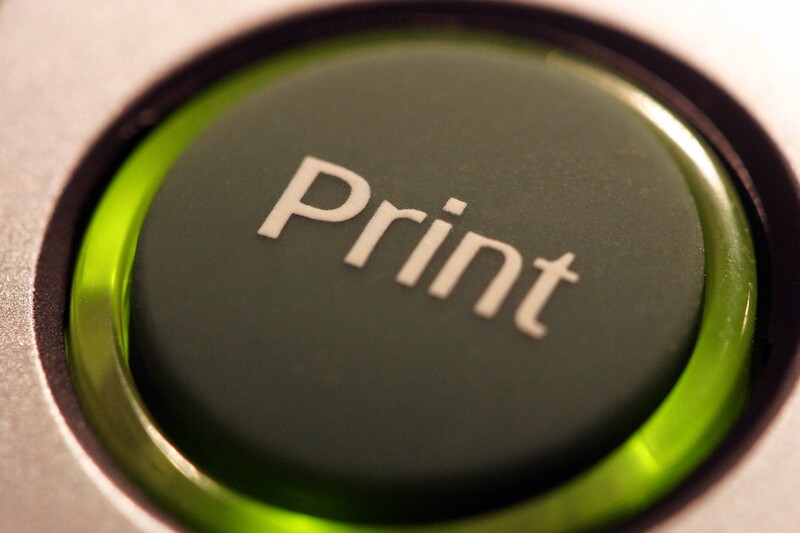 One popular methodology is to enact a “pull printing” feature on all office printers. This feature allows users to send a job to the printer from their PC or laptop, but forces the user to authenticate the job while physically at the printer before it is printed. Any job that isn’t authenticated over a specific period will be deleted from the print queue. With the proper technology in place, printing can be a much more secure means of obtaining sensitive information. More important than how employees obtain printed documents, is how they dispose of the information after use. This is where secure document shredding comes into play. AccuShred helps you respond to the growing threat of information and identity theft by providing high-security information destruction. We provide our clients with both on-site and off-site scheduled container pick-up and purge services. We also invite clients who have a smaller amount of material, to drop their material off at our secure facility for a more cost-effective solution.